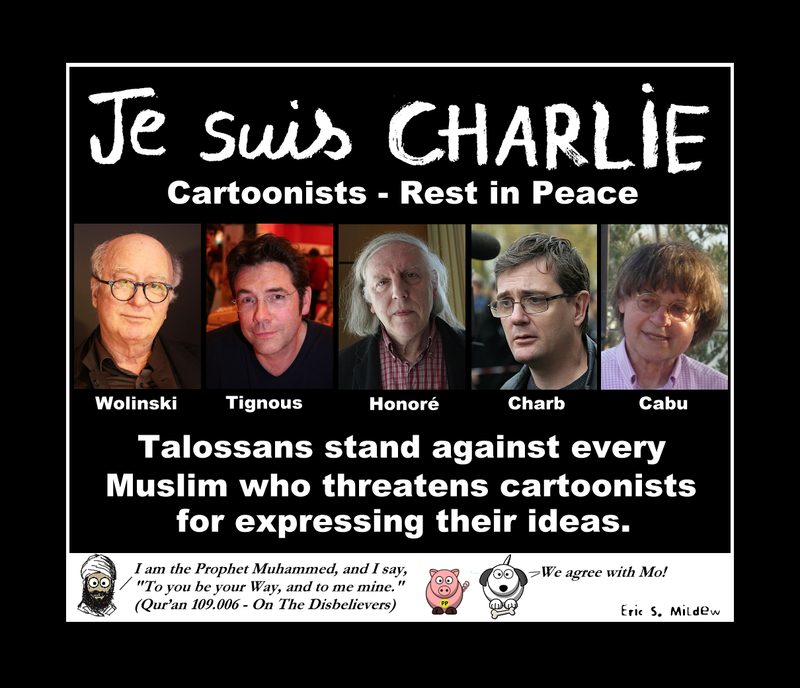 This past week, the French satirical magazine Charlie Hebdo was attacked by Islamist terrorists to punish them for their work. 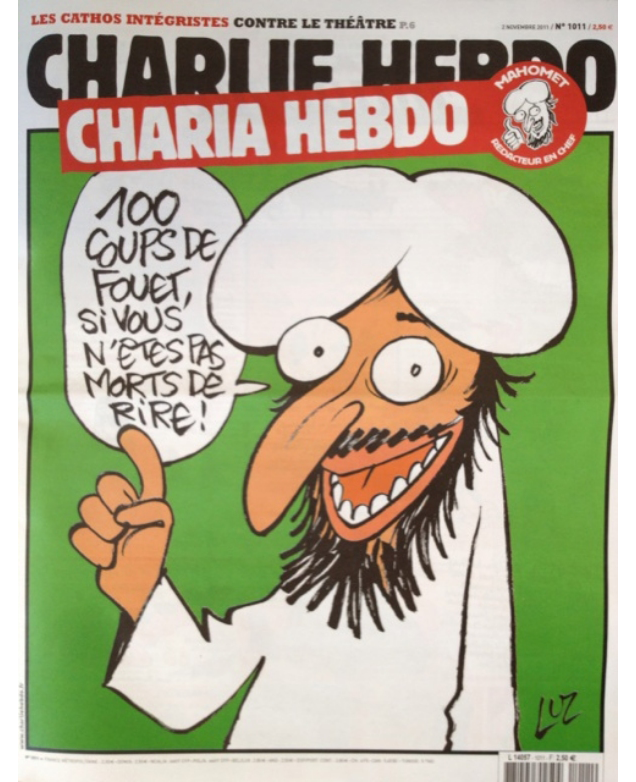 A previous issue of the magazine had featured a depiction of the Muslim prophet Muhammad, who was purportedly "guest editing" that week, and many Muslims find any representations of Muhammad to be offensive. Two gunman murdered a dozen people at the paper, including a Muslim police officer who gave his life trying to defend free speech. We here at Beric'ht Talossan are reprinting the originally offensive image, which pales in comparison with subsequent others, not out of an adolescent desire for "revenge" or to be pointlessly offensive. Instead, we are reprinting this image to make it clear that it is unacceptable to try to suppress the freedom of speech or freedom of the press with violence, and any attempt to do so will only encourage a thousand new blossoms of satire in response, and endless support for the right to speak without fear of violence. We are volunteer journalists, but in some small measure we feel privileged to stand up and support Charlie's speech.